Thank you to our 2019 7th Annual Confirmed Sponsors! Thank you to DF Richard of Dover, NH for being the TITLE SPONSOR of our event!! 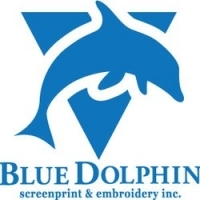 Thank you to Blue Dolphin Screen Print & Embroidery in Somersworth, NH for being a platinum sponsor of our event! We also want to thank you for our awesome tourney shirt design!! Thank you to Boulanger Paving in Berwick, ME for being a repeat platinum sponsor of our event!